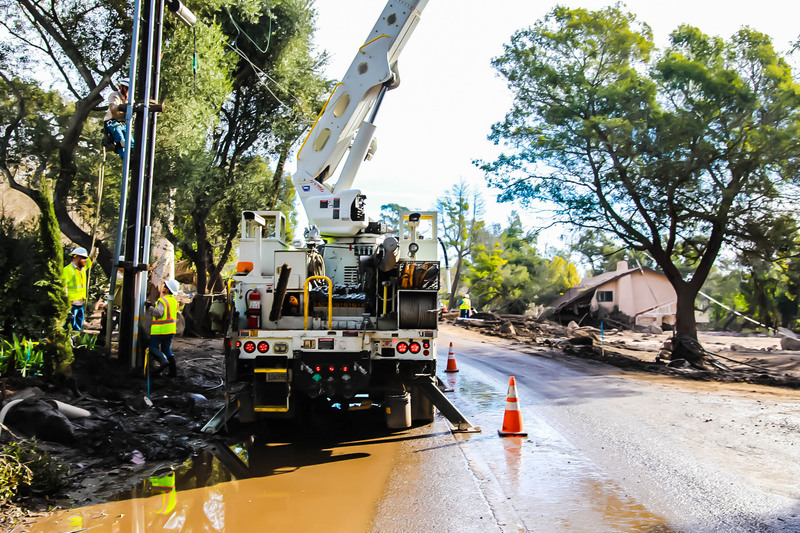 SCE crews work to safely restore power in Montecito. 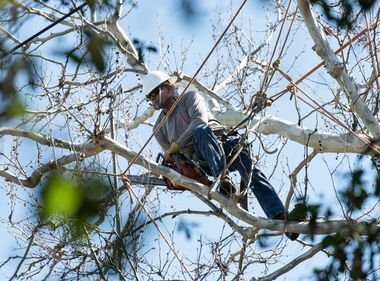 An SCE crew works to restore power in Montecito. SCE trucks line up on a road in Montecito. Damage assessments in the area have been completed and crews are working to safely restore power. 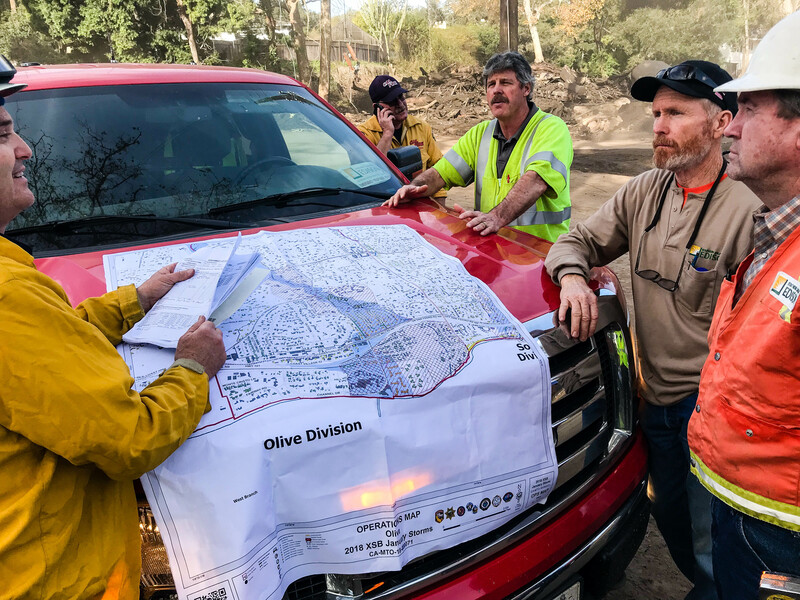 UPDATED, Jan. 24 at 8 a.m.
Southern California Edison crews continue to make progress on repairs and restoration efforts following the devastating wildfire and mudslide in the Montecito community of Santa Barbara County. SCE crews have now completed damage assessments for the area and are working to restore service to the remaining affected customers. Crews working in the area have replaced 101 poles, 29 transformers and 75,000 feet of wire and cable. As of Tuesday, power has been restored to all homes not damaged or destroyed in the Montecito area. 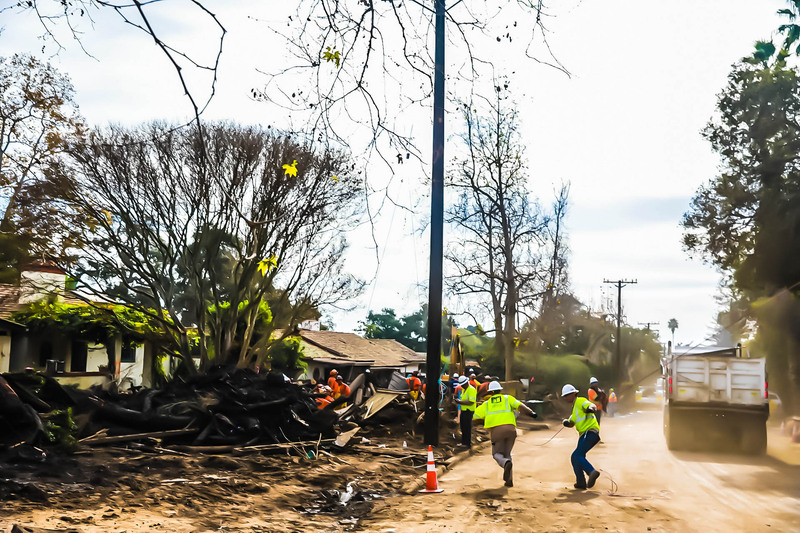 SCE crews had been working as quickly and as safely as possible to restore their service. 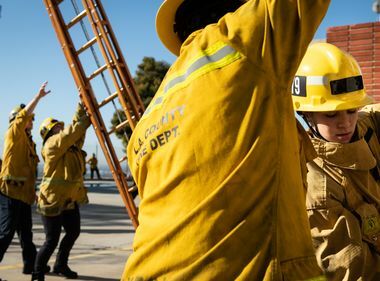 The company noted that the safety of the public and first responders is the No. 1 priority. SCE employees look over an operations map in Montecito. 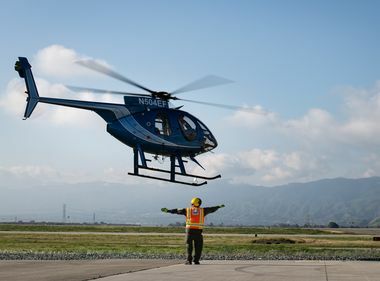 SCE continues to work with city and county officials, including planning and building, to restore service to area residents only when it is safe to do so. 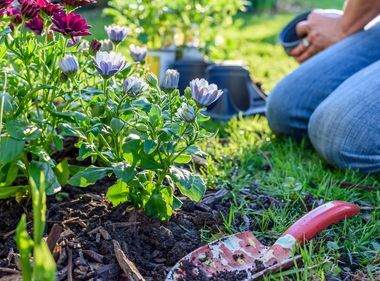 This includes not restoring service to homes damaged or that require clearance by a qualified electrician before they can be safely occupied. Impacted customers can get assistance and information from SCE service representatives and planners at Local Assistance Centers. For more information, see: SCE’s Wildfire & Mudslide Support page.